David “Lebo” Le Batard seeks inspiration from history, philosophy, music and science for his art, but one of his more unique creations owes its genesis to artist Joan Miro. 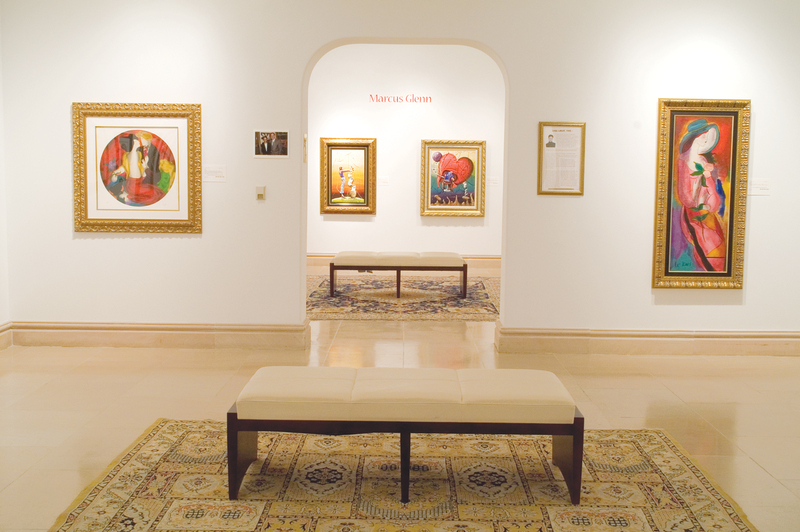 Lebo credits Miro for inspiring him to use cotton threads instead of his typical paints to weave together the visual tale of “Divine Spark,” a cotton tapestry in color. In 1974, Miro created a tapestry for the World Trade Center in New York City with Josep Royo, learning the craft from Royo. Unfortunately, the tapestry was destroyed during the September 11 attacks. The duo also designed a tapestry in 1977 to hang in the National Gallery in Washington, and Miro created one specifically for the Fundacio Joan Miro, a museum in Barcelona. Like most of Lebo’s artwork, he infused his tapestry with symbolism, but leaves it up to the viewer to take away their own meanings from it. However, he does offer some hints for viewers to use. 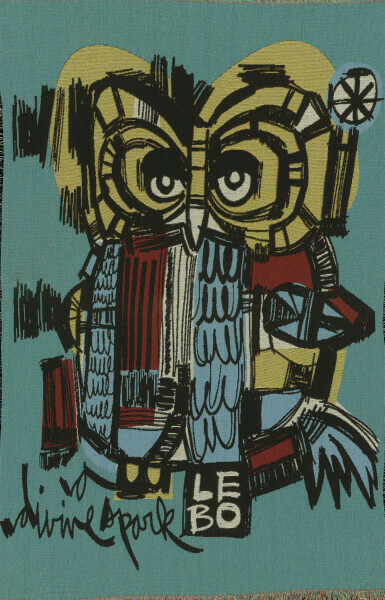 For instance, Lebo says when he studied ancient history, he discovered owls were the symbol of the Greek goddess Athena. He says owls have evolved over the 10 years he has included them in his art. This makes it all the more appropriate for him to use an owl as his subject matter as he explores new mediums and techniques. “[Owls] are sort of a vehicle for something otherworldly, and it seems to resonate with people and touch people, and that’s a nice thing because it does that for me too,” he says. 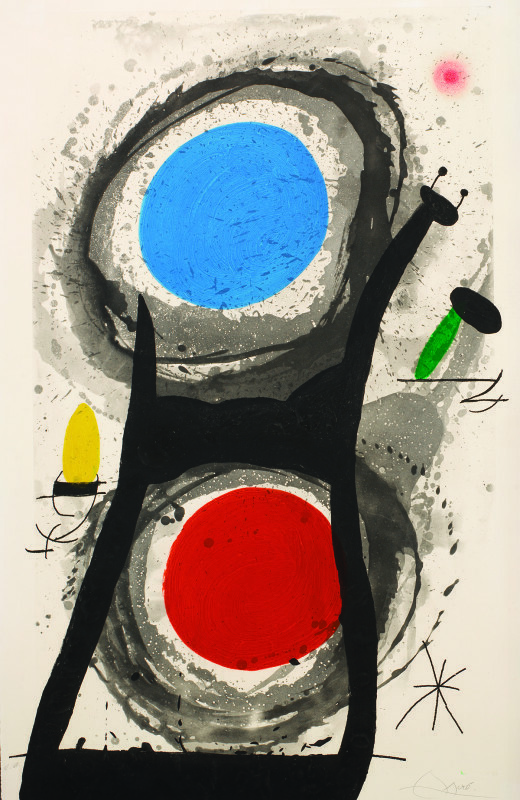 Lebo is in good company when it comes to artists inspired by Miro. American abstract expressionist artists such as Jackson Pollock, Robert Motherwell and Mark Rothko are said to have been influenced by Miro’s art. Miro’s art is known for being a recreation of the childlike, and has drawn upon Catalan folk art and even celestial symbolism. 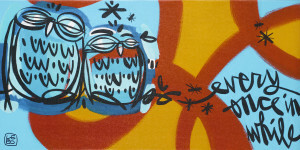 In a similar fashion, the style of Lebo – postmodern cartoon expressionism – utilizes cartoon-like imagery to communicate ideas inspired by his studies of mythology and philosophy. 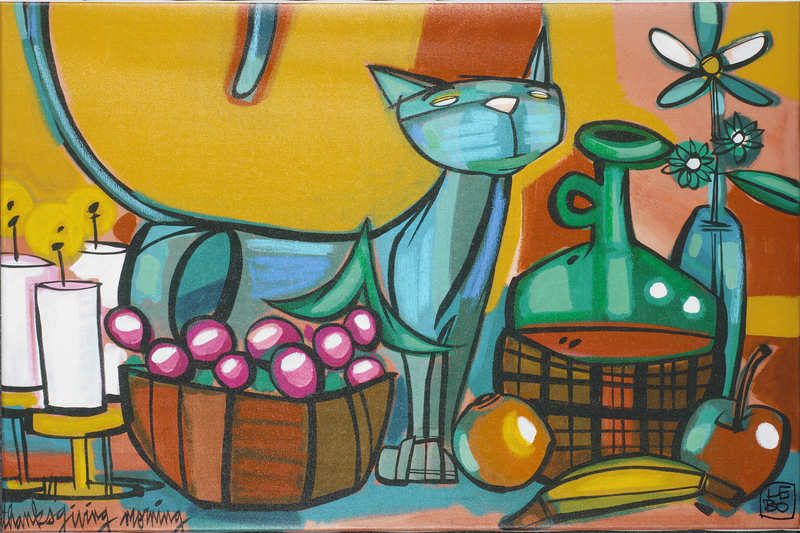 Artwork from both Miro and Lebo are available to collect through Park West Gallery.